Our strategy was three-fold: make an impact on the targeted community; raise awareness of the program through the local media; and elevate Arnaud’s through its cause marketing efforts. Thus, New Orleans’ first ever Teddy Bear Program benefiting the New Orleans Police Department (NOPD) and local community was born, all thanks to Arnaud’s and its partner, New Orleans Police & Justice Foundation (NOPJF). Timing was a key component. 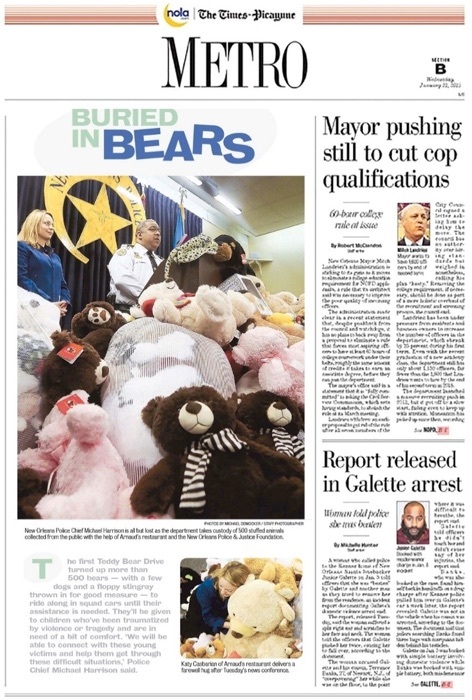 Not only were the holidays an essential piece, but another reality was the public perception of the NOPD. There was frequent reporting regarding violent crimes in the city. In fact, anything involving the NOPD was of top interest among the media and the community. DEVENEY identified this as another opportunity for the community at large to see the NOPD in a positive light. In its two years, DEVENEY has concentrated efforts on proactive media efforts to raise awareness of the program and increase collections. 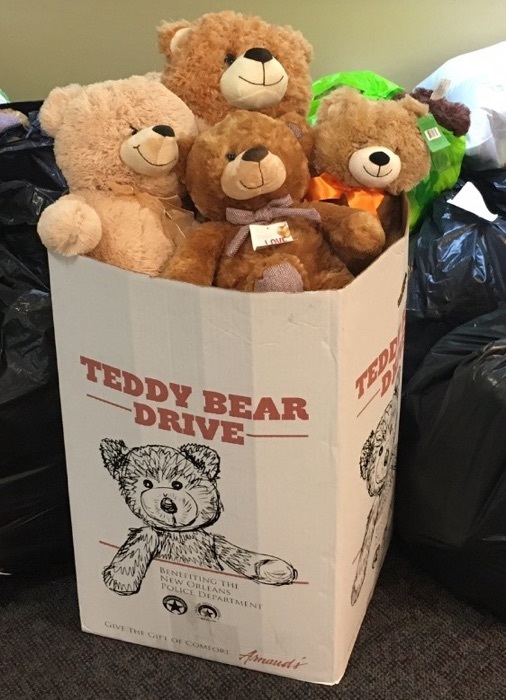 The program culminates in a press conference at NOPD Headquarters with representatives from all parties involved, including the donated teddy bears, to trumpet the success of the campaign and thank supporters!